In Georgia this past weekend 14 people lost their lives in traffic incidents as reported by the Georgia State Patrol. Just for comparison’s sake, there were only two traffic fatalities in Connecticut. In Kentucky there were nine. 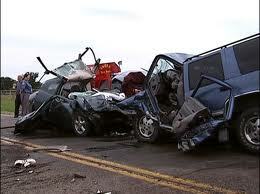 The National Safety Council estimated there would be 395 traffic fatalities in the United States this Labor Day. Final National numbers are not yet in as some polls include any fatalities up to Tuesday morning. It is estimated that for the Labor Day holiday period, over the years, generally, fatalities rose 35% on Labor Day and were 16% higher than normal on the following Tuesday. During last year’s Labor Day travel weekend, Georgia saw 15 traffic deaths and a further 1,218 injuries result from 3,706 crashes. At least two individuals died in Georgia lakes, one in Lake Lanier and on in Lake Allatoona. The Georgia Office of Highway Safety began a new program called “Operation Zero Tolerance” that has focused on stopping drunk driving during all Holiday Weekends. One specific program is called “Drive Sober or Pull Over.” The Governor and the Georgia Office of Highway Safety are to be commended for this endeavor, aimed at making Georgia roads safer. Is it working? Hard to say just yet. Maybe it is putting more DUI offenders behind bars. But with only one less fatality in 2015 than in 2014, I’d say the jury is still out on whether it is working.